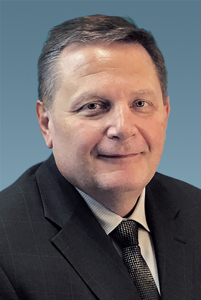 Orlando, Fla. – Crossman & Company’s Senior Vice President John Zielinski has been promoted to Chief Operating Officer, where he will oversee leasing, management and investment sales for the company. Zielinski previously served as head of the firm’s Atlanta division. Crossman & Company President John Crossman notes Zielinski will continue to grow the company as he did with the Atlanta office, and assist with many areas of our business, including training and recruiting, as well as the internal coordination and communication of the company. Prior to joining Crossman & Company, Zielinski served as an executive with Publix Super Markets, Inc. for more than 15 years in a variety of roles, including managing the leasing of the Publix shopping center portfolio. Zielinski has a Bachelor of Science in Business Administration from Bowling Green State University, an MBA from the University of South Florida and holds the CCIM designation.